My friend told me a creepy story: one night, a guy followed her down the street in the middle of the night. He came up behind her, walking fast to catch up with her. As any sane girl would do, she tightened her pace to get away from him. “I was scared and annoyed“, she said. “I just wanted to mind my own business and get home.” The guy caught up to her and started asking her questions – what her name was, how she was doing. “Hey, I just want to talk to you!” She turned around fiercely: “Don’t touch me!” As she walked away, she heard him calling after her. “Can I have your number?” If you ever wonder how to ask a girl out, think of the blatant things this guy did wrong. Put yourself into my friend’s position. Now, read more to see how you can do it better. We probably agree that the nighttime stalker did not have his timing down very well. If you remember only one thing from this article, then make it this: TIMING is crucial. Can you walk up to a girl and immediately ask her out? Sure, if you’re incredibly confident and attractive. That is, after you do a loooot of homework. And even then, will it work? Well, possibly. But I wouldn’t hold my breath. That’s because you asking her out is unwarranted and unsubstantiated. It’s so much easier after you’ve established a fun vibe, some familiarity, and common plans with her. Before you can reasonably ask her out, talk to her long enough to establish you like each other: then, seeing her again will be entirely natural! The right moment is when it feels right. When does it feel right to ask her out? This depends on how you lead a conversation. You can talk to a girl about classical music for over an hour and still it won’t feel right to ask her out: there is no reason that would make it seem natural. Yet, other guys can ask her out and she’ll agree – joyfully – after only a few minutes because they have a reason to ask her out. Both (!) you and the girl want to feel like you get along great and have fun activities to look forward to! You: Really? That’s so funny, I’ve been curious about that for years! You should teach me. You: Gimme your number. We could get a tea on Thursday, I’ll show you that café I told you about, and you tell me more. Did you notice how that didn’t even involve the idea of going on a “date”? It’s just two people who like each other hanging out. The key is to make this a low investment – “I’d like to ask you out on a date” is asking for a much greater commitment than “I like the same thing, we should do it together”. Make it an enthusiastic suggestion, not a timid question. You’re a cool guy, she’s a cool girl, it would be great to hang out together. That’s all it is. The whole idea is to give the budding relationship – where ever you want to take it – the room it needs to breathe and evolve. Some relationships – take one night stands, for instance – evolve quickly, then burn short and hot. Others evolve over time and last for years. 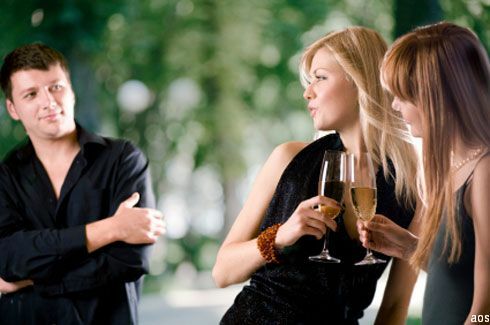 You need to allow the proper natural progression for each of them, and knowing how to ask a girl out for a night out at the right moment is crucial. Wherever you take her next and when, make it natural.